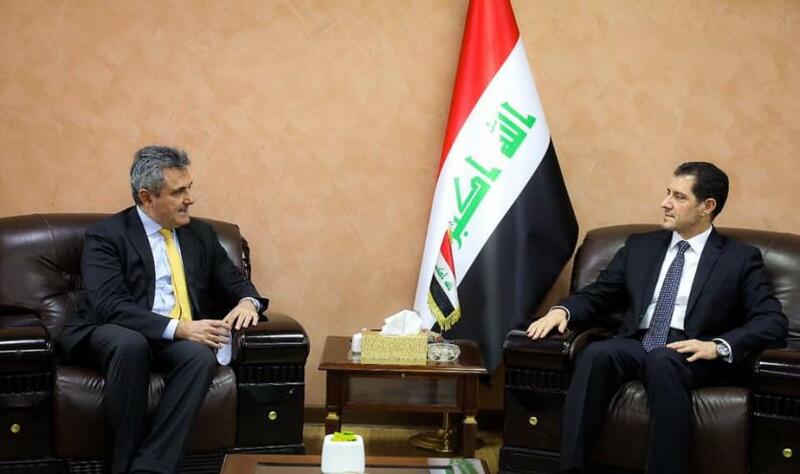 The Minister of Planning, Dr. Nouri Sabah al-Dulaimi, received on Wednesday the Italian Ambassador to Iraq, Bruno Antonio Pasquino, and his accompanying delegation. The meeting discussed joint relations to serve the interests of the two countries, especially in the fields of economy and investment. Dr. Nouri al-Dulaimi praised the efforts of the Italian mission in Iraq, calling for more international efforts to help the Iraqi government to restore stability and reconstruction of the areas affected by terrorist operations and to support and implement more vital programs at the national level. To visit Iraq, and take advantage of the opportunities and investment facilities directed by Prime Minister Dr. Adel Abdul-Mahdi, stressing the provision of support to the necessary ways to make these investments successful. For his part, Ambassador Pasquinu praised Iraq's vision for sustainable development in 2030, stressing that his country does not spare any effort to serve Iraq, among the priorities set by the Iraqi government.